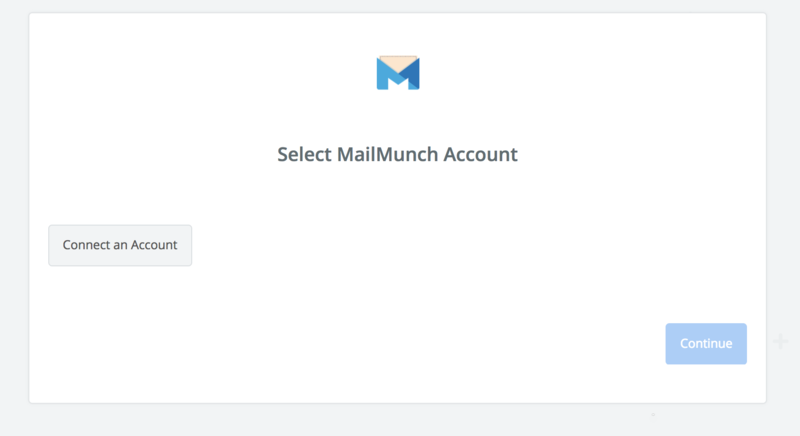 What MailMunch Triggers and Actions are Supported? New Subscriber - Triggers when a new subscriber is added to a selected form in your account. 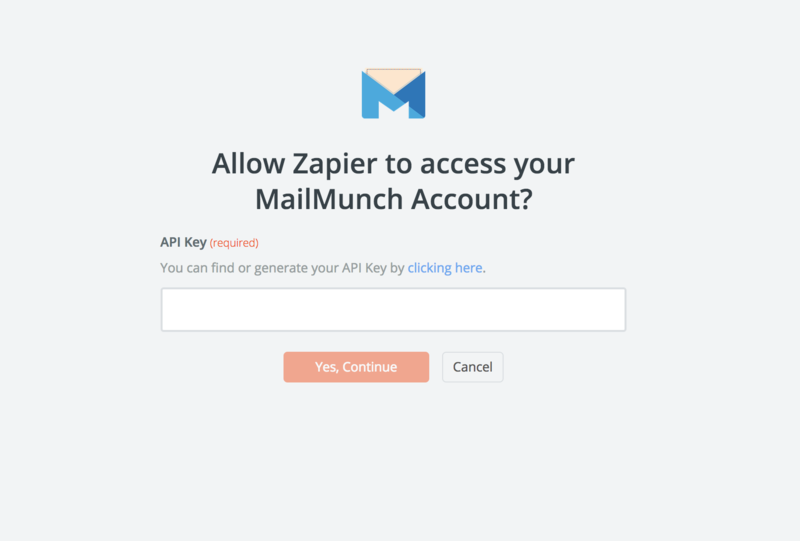 To get started with MailMunch on Zapier, first you will need to click to connect your MailMunch account to use with your Zap. Next, you'll be asked to enter your MailMunch's API key. Click on the "click here" where it says "If you want to generate a new API Key, click here"
Paste your key back into your Zapier account and then “Continue”. 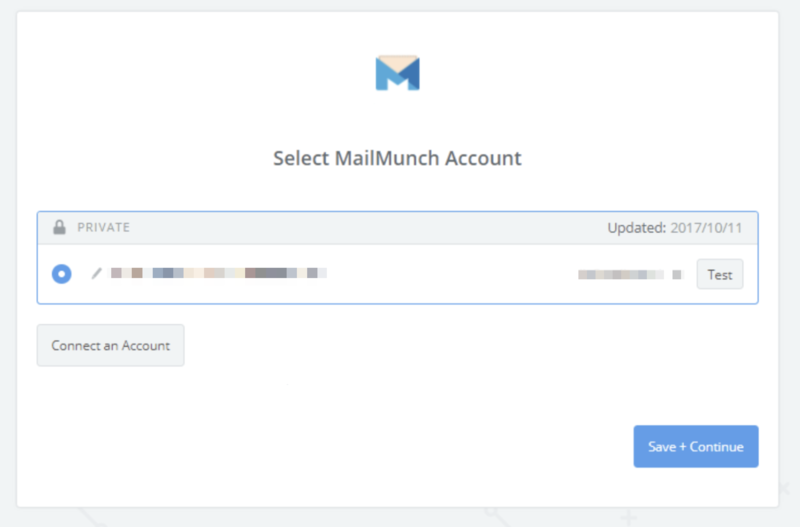 If your API key was entered correctly your MailMunch account will now be successfully connected.